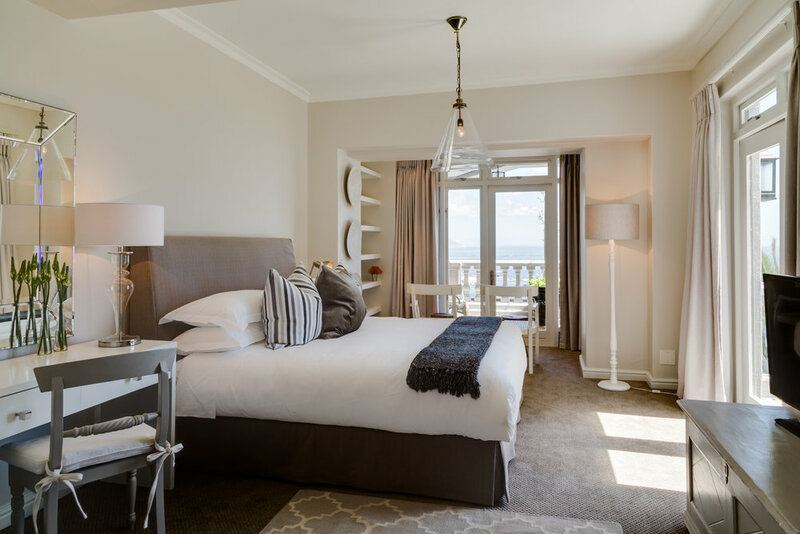 Seven elegantly appointed, expansive suites open out onto uninterrupted views of Cape Town’s iconic Clifton and Camps Bay coast line. Cape View Clifton is both easygoing and elegant, decorated in calm-inducing hues and peppered with subtle colonial touches and modern artworks. Established high on the slopes of Lions Head, Cape View Clifton offers the perfect balance between privacy and access to Cape Town’s top restaurants, sights and beaches. For a family or group of friends, we also have the Bakoven Beach House – an exclusive-use three bedroom villa, just a short distance from Cape View Clifton. Book your stay in this pristine boutique hotel and explore this beautiful stretch of paradise.